After ten hours of travelling, we arrived in Malaysia for the final round of Formula Drift Asia for 2011. With Soon meeting us at the airport, we headed to Klang, which is about 45 minutes from KL and where the Supra is being prepared. After a stop at Nagamotorsport, where we were able to take a look at the Supra for the first time, we got ready for a practice session at a local circuit. 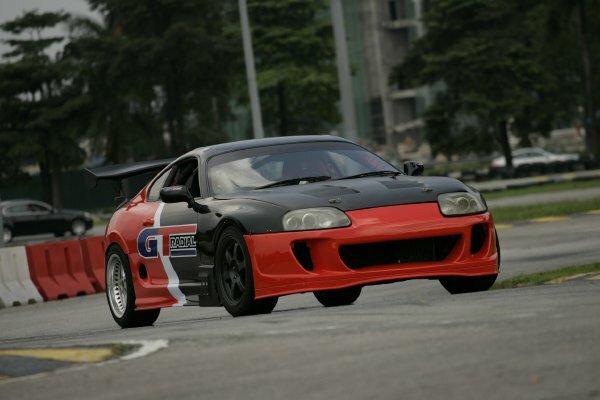 The Supra has an awesome presence and after firing up the V8 engine, it has plenty of noise to back up its good looks! 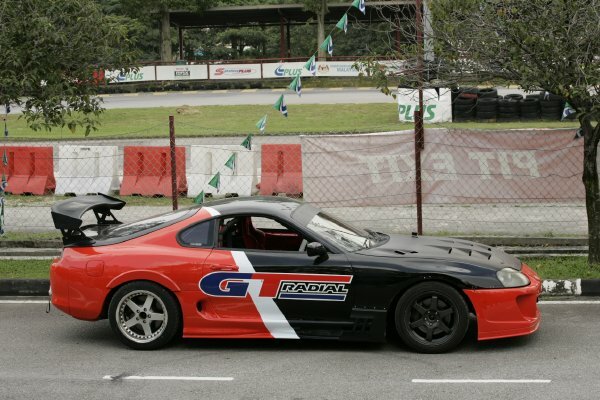 The Supra has been fitted with a Toyota 1UZ engine, that has incredible amounts of torque. The overall horsepower is not earth shattering, but Soon had a way to fix that! He arrived at the track and popped the boot of his car, where we saw two bottles of Nitrous Oxide that were quickly fitted providing another 50HP over 3000rpm whenever you are at full throttle. The first few laps allowed some time to get a feel for the car, but it didn’t take long for the 100km/h entries to begin, holding it flat in third. Having been awake for almost 36 hours, it was time to head back to the hotel. 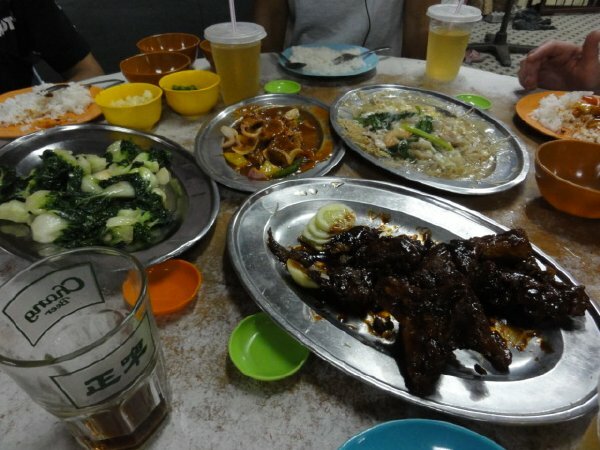 But not before Soon took us to one of his favorite local restaurants, that was well off the beaten path. Catching up on sleep, we woke the following day and departed from Klang headed to KL for the Formula Drift press conference. All of the drivers and the local media packed into a room at the Hilton in the centre of town, as Marcus Lim from Driftpac introduced the series and the drivers. We met up with the rest of the GT Radial team late that afternoon and we all got together for a team meeting to discuss the upcoming days. Tomorrow, we head to the motorsport arena for the very first time. This will be our first time on track and will allow for some very valuable additional track time, as we take the media out for rides through the tight technical circuit. Tomorrow will be our last chance for final adjustments on the Supra and will allow us to test on the track surface. It will be fantastic to be out on track and I look forward to checking in with a track report! One last thing, here is a clip from testing!